Hope Wabuke is a Ugandan American writer and poet. She is the author of the chapbooks The Leaving and Movement No.1: Trains, and a contributing editor for The Root. Her work has also appeared in Tupelo Quarterly, Border Crossing, Lit Hub, The North American Review, Potluck Magazine, Ruminate Magazine, Fjords Literary Journal, Salamander Literary Journal, NonBinary Review, JOIINT Literary Journal, Cease Cows, Kalyani Magazine, Red Paint Hill, Split this Rock , Literary Mama, The Guardian, Newsweek ’ s The Daily Beast, Salon, Gawker, Guernica, Dame, Creative Nonfiction Magazine, The Root, Ozy, The Hairpin, Ms. Magazine online, The Rumpus, Los Angeles Magazine and The Feminist Wire , among others. Hope has received fellowships and awards from the National Endowment for the Arts, Voices of Our Nations Arts Foundation, The New York Times Foundation, the Awesome Foundation and the Barbara Deming Memorial Fund for Women Writers. Her work has been performed at the Kumble Theatre, White Wave Dance Festival, and Stage Left Theatre. 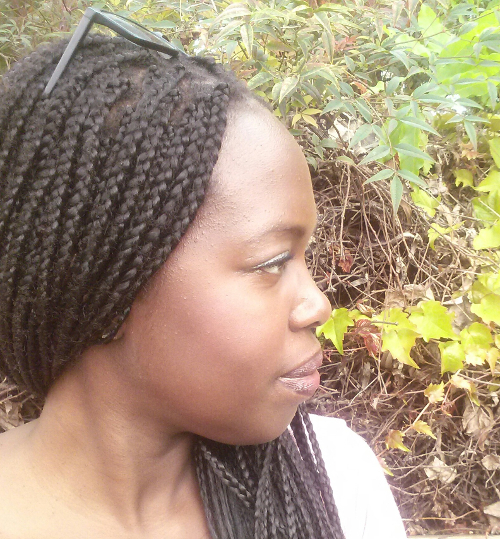 Hope was also a finalist for the 2015 Brunel University African Poetry Prize. A graduate of New York University (M.F.A. Creative Writing) and Northwestern University (B.S. Film and Cultural Studies and Creative Writing) Hope has taught writing at NYU and the City University of New York as well. Currently, Hope is an Assistant Professor of English at the University of Nebraska-Lincoln and a founding board member of the Kimbilio Center for African American Fiction. These poems are from my poetry collection The Body Family, which explores my family's escape from Idi Amin's Ugandan genocide in 1976 and the aftermath of healing in America. Much of my work interrogates sites of trauma in the global African diaspora, gender, religion/spirituality, and the juxtaposition of personal trauma against a national scale. These poems offer a breadth and complexity that we often fail to gather from the news. Here, we’re given a living, breathing family who is part of a multifaceted narrative. I'd like to hear about your choice of genre in telling this story. the fragment of the poem artifact best expresses that. I’d like to return to your earlier mention of your work focusing on not only personal trauma but the trauma of a people. These poems bring both of these concerns to our attention, not only in poems like "Breath I" and "Breath II," but also the third poem in this sequence, "Breath III," where violence against the body is present in another country, and a person can still disappear. Could you talk more about these poems? I am very much concerned with trauma — with the nature of personal trauma juxtaposed against national trauma — with the often intertwined relationship between these two. Often times national traumas, such as war, are a large part of the creation of personal trauma — such as the PTSD of soldiers and other survivors of war who then enact violence upon their family members after returning home. With the poems in this collection, I look at the national trauma of the genocide in Uganda as part of the legacy of colonialism in Africa by European powers, and the national trauma of violence against black bodies in America that has been ongoing since the founding of this country. These two violences are interconnected. There is a global culture of anti-blackness that is manifested, whether in post-British colonial Africa or in America, where the black body is erased, and what is layered upon it are negative stereotypes of blackness. Both are an erasure. Both are a disappearance. A large part of my writing is to get past these layered stereotypes, to unerase the erasure. One of my favorite poems featured here is “Refugee Mind” : “You must speak. You must let yourself be known / by these new children in all your glorious // tangled mess of becoming.”Toward the end of the poem, there is a reminder that “there are always storms coming.” The necessities of speaking and remembering are elemental here while forging connections in a strange place. The phrase “glorious // tangled mess of becoming” is one I’ve been thinking about since I first read this poem, which seems to shine light not only on a person’s identity but also on how one might heal. Thank you so much. A lot of my work, such as this poem, deals with the different relationships to the new country that the refugee, and children of refugees have. The refugee parent is adult, has already formed the self, has grown up in a society where he/she was fully part of that society and normalized. The refugee child grows up in an alien society he/she does not understand, and which the refugee parent does not understand, and cannot teach the refugee child how to survive in. The refugee parent's survival skills and cultural capital apply to a society the family no longer lives in. There is a schism, an inability to communicate; a fragmentation of self. In my family specifically, because of the PTSD and trauma my parents experienced during Amin's genocide, they did not want to talk about anything to do with Uganda. But that was all I wanted to know. Growing up in America in the eighties and nineties, we did not learn anything (positive) about Africa, nor did we learn anything (positive) about blackness in general. I was flailing in layers of silence and absence. So I wrote those lines about the importance of refugee parents to share of themselves, their culture, their lineage, no matter how painful or ugly they may think it is; to the refugee child this knowing is the only way to be healthy and safe in the new society; to thrive. I admire the lineation in these poems as well as the use of white space on the page. These make for an engaging read but also, as a reader, I consider the poems in ways I might not if every stanza were left-aligned. How did the structures of these poems come about? A friend of mine once told me shortly after we finished graduate school that my one ongoing preoccupation is structure. I love structure. I love deconstructing how a thing is put together; I love thinking about the construction of a thing. The union of form and content is where I begin the conversation of creation as both a poet and an educator. Structure must be organic and thought out. I use the alignment and white space to draw attention to absence, to the fragment of the refugee experience as well as the usual stuff of poetry — for emphasis, for pause, for the lingering echo to haunt line, stanza, or poem itself. I have never seen a live one. each one. Which was worse? But you could tell whose body. best of all. Some day. root again, grow new life. tangled mess of becoming. Your culture also. for there are always storms coming. Father says mother is forgiven. to be fruitful, multiply again? But oh! before coming home to him again? you going? where you from?